Question: I am applying for legal permanent residence in the US. Do I have to submit a birth certificate with my application? I lost my copy, so I would have to get another one from the government back home. o An annotation (stamp, seal, signature, etc.) by the appropriate authority indicating that the document is the official record or an extract from the official records. o Your birth was never officially recorded. o Your birth records have been destroyed. o The appropriate government authority will not issue the document. o A sworn affidavit from at least two persons, preferably including the applicant’s mother, stating that they have personal knowledge of the date and place of birth, parents’ names, and the mother’s maiden name. An affidavit must be signed in the presence of an official authorized to administer oaths or affirmations in the relevant country. Note for Irish citizens: For Irish birth certificates, the “long form” version should be submitted. If you have any difficulty obtaining the proper evidence regarding your birth records, or if you have any other questions concerning immigration law, visit one of our weekly clinics advertised here in the Emigrant for a free, confidential consultation. We also can provide referrals to professional translation services in the Boston area. Translations: If your birth certificate (or any of the other evidentiary documents discussed above) is in a language other than English, you will need to submit both a copy of the original document plus a certified English translation of the entire contents of the document. The translator needs to certify that he/she is competent to translate documents from the original language into English, and that the translation submitted is a complete and accurate version of the original document. Applicants and their interested family members may not provide translations themselves, even if they are fluent in English. 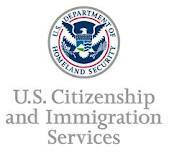 Note that the same criteria apply for translations of other documents not in English that may need to be submitted in conjunction with applications for immigration benefits, such as passports, marriage certificates, divorce decrees, and other court records.